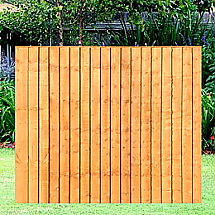 Lap Fence Panels are one of the UK’s most popular panel styles. 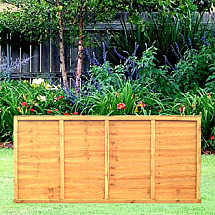 The panel is constructed from waney edge boards which are overlapped horizontally and affixed to rectangular battens and then topped with top capping. 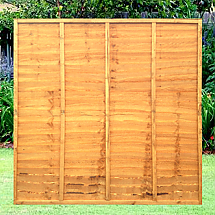 This panel is exceptional at providing privacy to your garden as well as being an attractive feature that will work along side your plants to make your garden a prepossessing functional area. 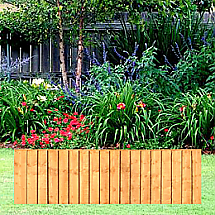 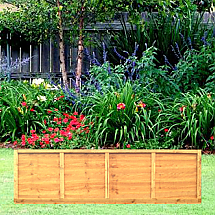 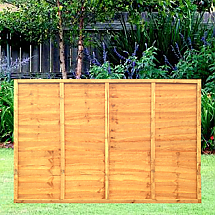 Feather Edge Fence Panels also known as Featherboard or Closeboard are a strong privacy panel that offers an unobjectionable, appealing backdrop to your garden. 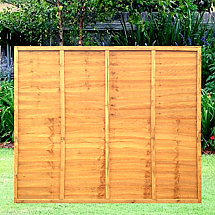 The panels are designed to be overlapped vertically and secured to horizontal rails that run along the back of the panel. Due to the design of the panel, the fence offers a strong and sturdy border to your garden whilst still maintaining an attractive feel to the area. 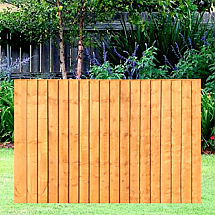 All Fence Rite garden fence panels are also dip-treated to add weather resistance and in turn extend the life of your fence.